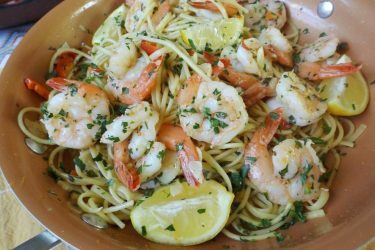 You will only need a few ingredients to bring this seafood deliciousness to the table. Ceviche! Everyone craves a delicious ceviche this time of year, a cool, light appetizer (or main course) for the summer heat. 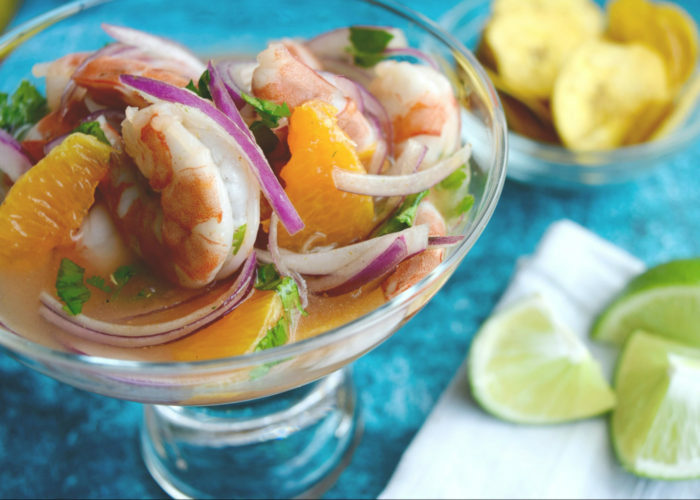 A wonderful way to satiate those cravings is with a yummy and easy-to-make shrimp ceviche. Place the shrimp on a shallow glass container. 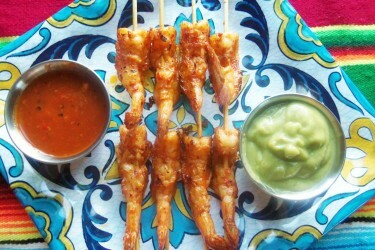 Sprinkle the lime juice liberally over them and refrigerate for at least 30 minutes or until the shrimp turn pink and acquire an opaque appearance. (It may need extra time depending on the size of the shrimp). While shrimp are marinating, combine onion, cilantro, olive oil, salt and pepper. Reserve. Next, peel the mandarin oranges over a small bowl so you catch all juices and drips. Cut out sections of the orange, leaving the membrane intact, and squeeze all the juices out. Once shrimp are ready, season with salt and pepper and combine with the onion mixture, mandarin oranges and its juices. You may marinate for an additional 10 more minutes at room temperature. 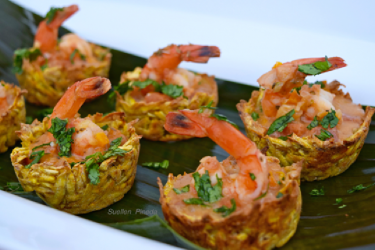 Serve with the plantain chips.